The outdoor video recording season hasn’t begun yet, it is still a bit too cold. But I do have some material left from last season. Today I give you a video I shot in the beginning of August: Spinning on a Viking spindle. How did the vikings spin? We know what tools the vikings used for spinning – the finds of spindle whorls from the viking city of Birka are endless. The soil hasn’t preserved organic material, so there are basically no finds of spindle shafts or distaffs from Birka. Spindle whorls at the museum of History in Stockholm: Finds from Birka (20 and 22) and Gotland (21). Whorl 22 was made of amber, the whorls 20 and 21 of burnt clay. To the right you can see a glimpse of whorls made of stone. Finds of spindle shafts and distaffs have been made in another viking city, though – Haithabu, where the soil has ben more beneficial to preserving organic material. Similar items were also found in the Oseberg grave. There were also finds of weaving tablets, needles, looms and loom weights. 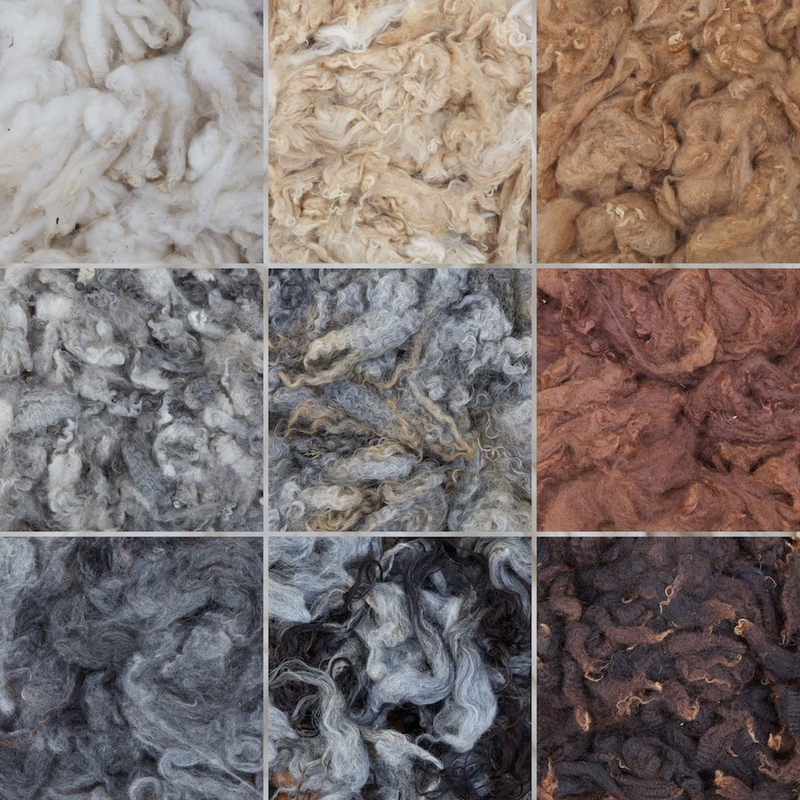 From finds of textile tools and textiles we know that the vikings spun yarn for clothing, household textiles and sails. To provide a family with the necessary textiles people had to spin. All the time. Clothes, ribbons, carpets, bedding, blankets and sails. I can’t even imagine the amount of yarn needed to weave a sail for the boats. I imagine the whole village cooperated in preparing, spinning, weaving and sewing the giant woolen sails. They must have weighed a ton. To be able to spin every second the hands weren’t occupied with children or household work you needed to bring the fiber with you. That was what the distaff was for. That way you could spin whenever time allowed without having to runtime to get new fiber. We don’t know how the viking spun their yarn. There are no written sources or illustrations from this time period. We can only see a few pieces of a puzzle. The rest is just more or less qualified guesswork. While we have information about the tools, the textiles and to some extent the way of living in this time period, we need to look into the future to learn about the spinning techniques. If we go to the European medieval times we can see the same models of whorls, shafts and distaffs in both illustrations and archeological finds. The illustrations can also give us a clue to how the spinners used their tools. In fact, the same spinning method has been used later on as well, all the way into the 20th century. Take a look at spinning on French or Portuguese spindles, just to take a few examples. Several medieval spinning images can be found in the blog 15th century spinning by Cathelina di Alessandri (alter ego). She has also made substantial research about the spinning method in the European medieval times. The typical medieval image of a spinner is a woman sitting or standing. She is holding a belt/floor/hand distaff in her left hand and a spindle in her right hand. the yarn goes diagonally over her body from the distaff down to the spindle. The spindle shaft has a bulk in the middle and is thinner towards the ends. The whorl is placed just beneath the bulk. The whorl has a cone-shaped hole to fit the shaft. The typical spinning position for spinning in the European medieval era. Perhaps also the Viking era. As I wrote earlier, the tools look the same as the tools found in the Viking era. As I also wrote, there are no illustrations of spinning from the Viking era, only the tools and their context. With the finds of shafts, whorls and distaffs looking the same as in the medieval period, I have no reason to doubt that the spinning technique also looked the same: The yarn going diagonally across the torso from the distaff to the spindle and the spindle grasped in the hand. Because of these pieces of the puzzle, I have chosen to interpret the Viking spinning method the way I have. It is up to you to agree or disagree. I have a reenactor friend who spends a month each summer at Birka to show the visitors the way of living at Birka. She asked me to come and give a class on period spinning. Just after she had asked me I saw a Viking style spindle in the NiddyNoddyUK shop , and I quickly bought it. The Viking spindle shaft and whorl I bought are reproductions of finds from the Oseberg grave. A Viking style spindle and whorl, reproductions of finds from the Oseberg grave. I love going to Birka (it is just a boat trip from our home), and I was very excited about the opportunity to teach Birka reenactors spinning. I told the spindle maker Neil of NiddyNoddyUK about my excitement. Neil was as excited as I was and threw a few similar spindle shafts in the parcel. Such a sweet thing to do! I had plans to make a video of the class, where the students at Birka would wear period costumes. The day before we were going to Birka I got a message from my reeanctor friend saying that she had fel and got a concussion and we had the cancel the whole thing. Fortunately she is well now, but we both missed out on a longed for event. So, the setting of this video is not a very Viking one. Instead it is a bench in a hidden corner of out allotment area. I shot it on a very hot day and I was happy to be quite still in the shadow. The bench has a story, though. One of the founders of the allotment area was Kent. He was once an active gardener in the allotment, growing lots of potatoes and Japanese lanterns. Lately, though, he hasn’t been there for more than the spring and fall cleaning days. His allotment turned into a jungle. He kept very much to himself, but he seemed to love that garden bench. Every fall cleaning he removed the sitting boards to protect them from the winter and every spring cleaning he brought them back. One year ago he passed away. His allotment was taken over by a new and enthusiastic gardener and someone else made sure the boards were taken care of during the winter. His Japanese lanterns have spread and shed some sweet orange light in the fall. And the bench is now called Kent’s bench. I’m sure he had something to do with the stubborn insect that bothered me in the video shoot: He didn’t want me to be there. Insect attack at Kent’s bench.